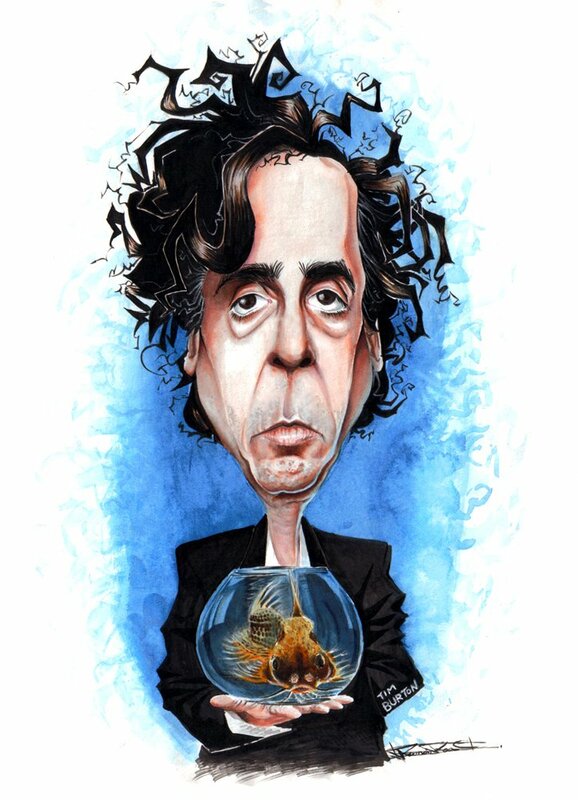 Tim Burton, you either love his art style or you hate it. I, for one, fall into the former group of fans. 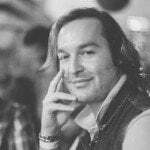 My appreciation for Burton’s work began when I first watched his silver screen adaptation of Bob Kane and Bill Finger’s ‘Dark Knight’ in Batman (1989) and Batman Returns (1992). I still personally believe that Burton’s rendition of the Joker, Cat Woman and the Penguin are the best iterations of those characters yet seen, with Christopher Nolan’s versions coming in at a close second. Due to Burton’s unusual art style, however, many have often wondered what it would be like if he had to apply his peerless penchant for the strange to popular comic or movie franchises. 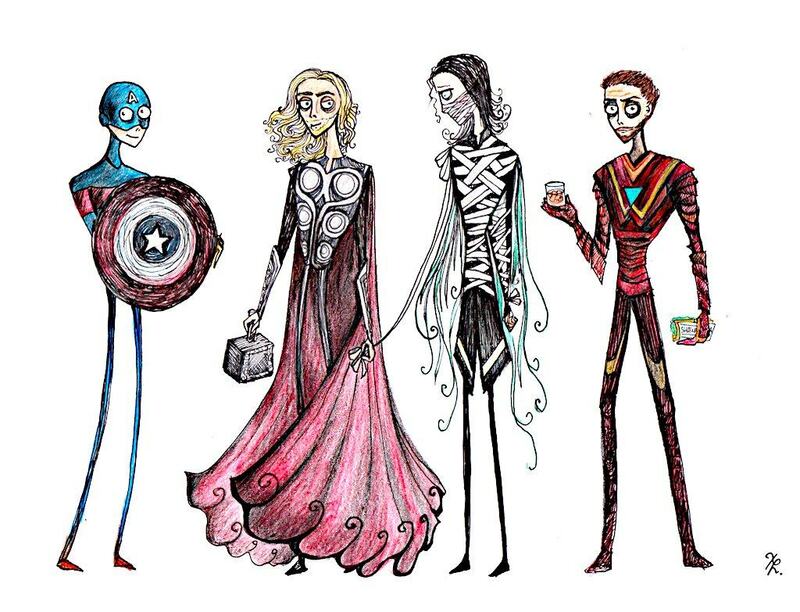 One such artist, who goes by the name of La Chapeliere Folle on Deviant Art, has explored such an alternate universe with her illustrations of what it would be like if Tim Burton had to draw Marvel’s The Avengers. I think her interpretation is spot-on and I would like to see her create more. 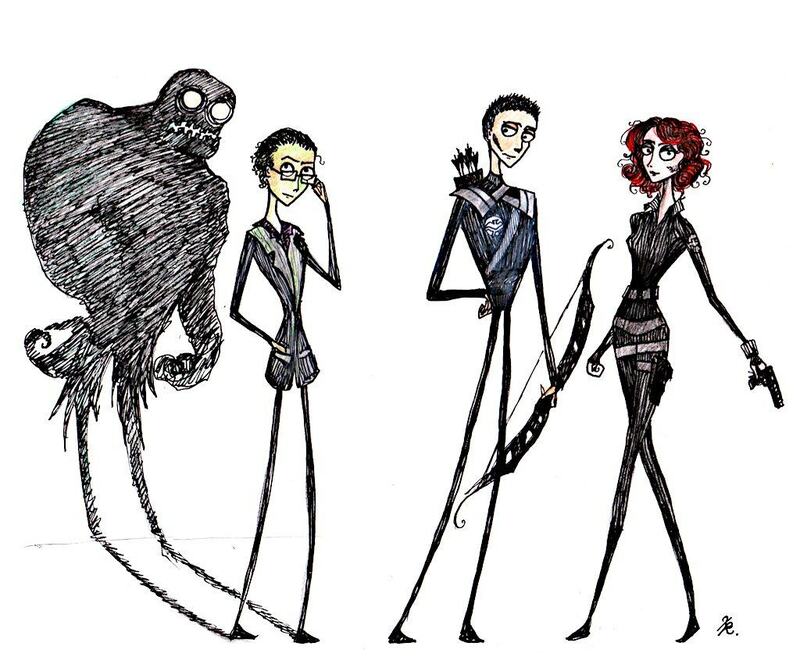 What do you think of these Tim Burton-esque Avengers?